CELEBRATE THE SEASON WITH THE HOLIDAY TRAIN! The Holiday Train will fire up its engine for the seventh year this December to delight Bay Area families with glittering lights and holiday giving. 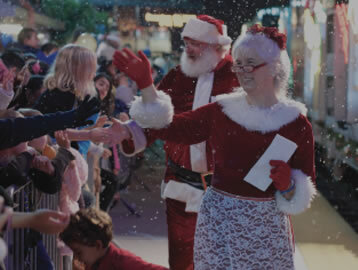 This festive tradition brings holiday treats, entertainment and characters including Frosty the Snowman, Rudolph and Santa’s elves to nine stations between San Francisco and Santa Clara. Caltrain and SVCF also partner with local organizations to collect toys at each station for underserved children in our communities. 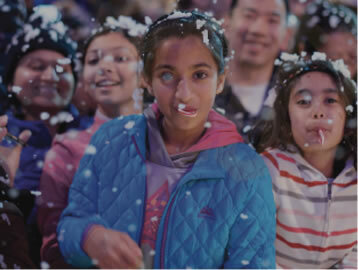 Last year, the event brought together over 35,000 Bay Area residents and collected over 3,000 toys. 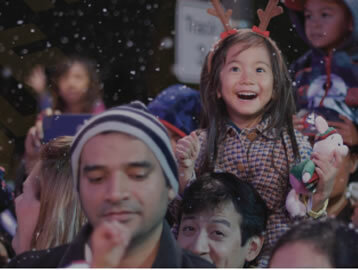 Bring the family to join in the fun, and bring a new, unwrapped toy to donate to the Holiday Train Toy Drive. The Caltrain Holiday Train is presented by Silicon Valley Community Foundation. © Copyright 2018 Holiday Train. All Rights Reserved.